The main reason of linkage to Google Scholar being interrupted when many people access to it is that they use http access rather than https encrypted access. For instance, accessing to http://scholar.google.com will definitely fail while https://scholar.google.com will be normally accessed. In order to ensure the better use of Google online services, this article will share some setting methods to deal with how to compulsively use https access when domain of Google.com meets http links. Although you can add the prefix of https at any time you want, in some circumstances websites will automatically jump to http page. This kind of statue may happen after clicking on the links of search results, which will affect the normal use. 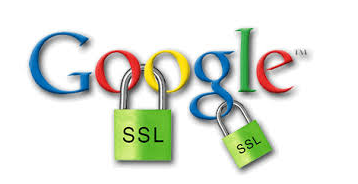 Therefore, we recommend you to set compulsive https access when visit websites. 2. In the bar of Domain, type in google.com and tick the following two check boxes and click on Add. At this time, there is no need for you to manually add the prefix of https every time the link is interrupted when redirects to non-encrypted link. Considering the fact that the most often used one in the country is google.com.hk, you need to add the same regulation to this domain. Repeat the same operation mentioned above. The only difference is that in the bar of Domain, you need to type in google.com.hk. Likewise, if you like to use google.com, then make it google.com. The way of some websites to load Google CDN is through ordinary http links. You can use this method to compulsively make it an https link. Repeat the same operation mentioned above. The only difference is that in the bar of Domain, you need to type in googleapis.com. By default, Google web cache is opened in the non-encrypted http link, which will lead to connection failure. To change this situation, please add the same regulation to this domain. Repeat the same operation mentioned above. The only difference is that in the bar of Domain, you need to type in googleusercontent.com. 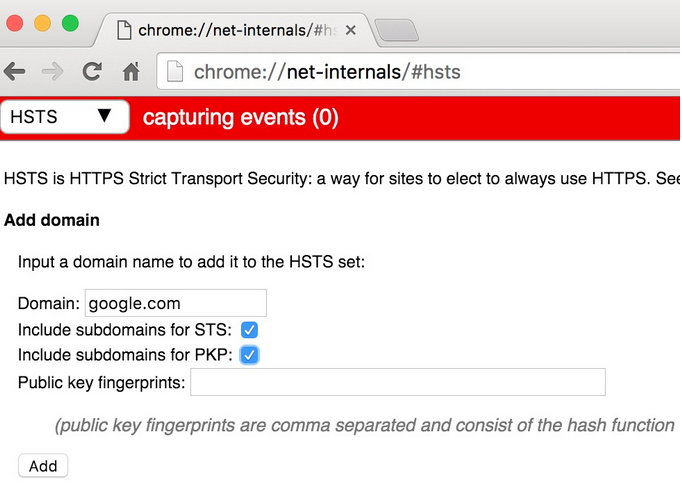 If you want to undo the above alterations, for instance, the one of Google.com, please also visit chrome: //net-internals/#hsts. In the area of Delete Domain, type in the domain you want to undo the regulations (e.g. google.com) and click on Delete.